The Revolution have added a Major League piece and a left-handed bat to their offense as they near the end of their mid-season rebuild, and try to contend in a jumbled Freedom Division second half race. 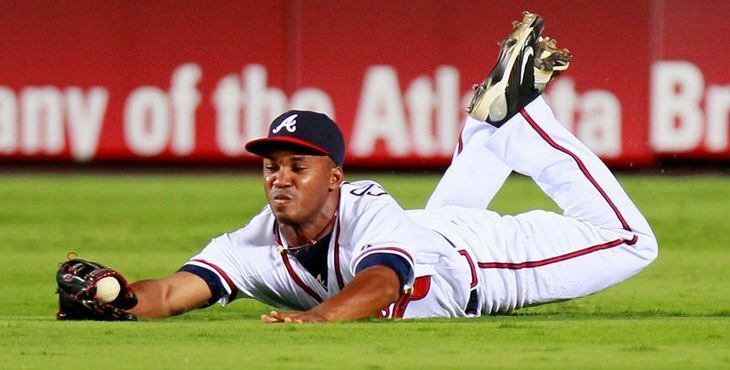 Outfielder Jose Constanza has been added, who will likely bat leadoff. A veteran of 112 Major League games with the Atlanta Braves over four seasons (2011-2014), Constanza batted a very solid .273 in the big leagues, including a .303 showing in 42 games in his MLB debut in 2011. Constanza began this season in the Cincinnati Reds organization, playing in 41 games at Triple-A Louisville. Constanza, 31, was originally signed by the Cleveland Indians as an amateur out of his native Dominican Republic in 2005. He signed as a minor league free agent with the Braves after his original six-year contract with the Indians expired, where he reached Triple-A Columbus in 2010 and hit .319 in 113 games. Constanza is a career .300 hitter in 522 career Triple-A games, predominately with Atlanta’s affiliate in Gwinnett, GA during the four years he spent back and forth from the Majors. He should add quite a bit to the York running game, with a career total of 316 stolen bases upon joining the Revs (MLB and minors combined), in his 11th professional season. Ian Thomas pitching at Citi Field in New York on Friday, July 24 in his first MLB start for the Dodgers against the Mets. Thomas also became the first former Revolution pitcher to start a Major League game. 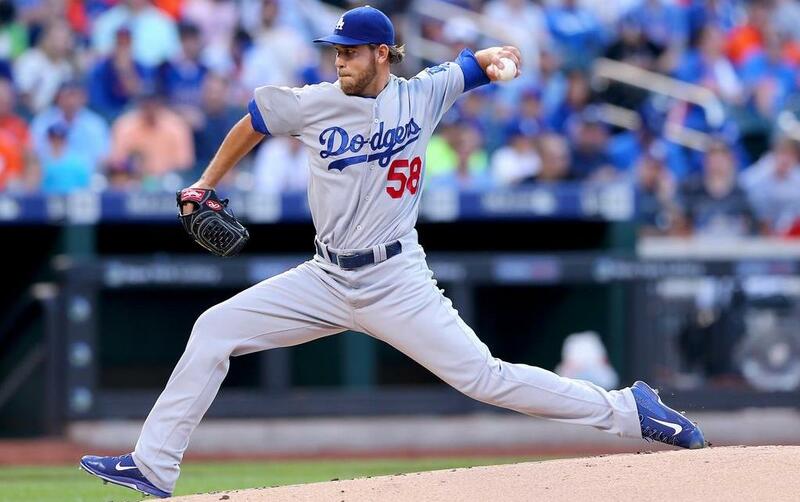 Earning the win, his line was: 5 IP, 3 H, 1 ER, 0 BB, 5 K in a 7-2 Dodgers victory. PHOTO: Elsa/Getty Images. In his third appearance with the Los Angeles Dodgers, the first Major League start for Ian Thomas also made the lefty the first former York Revolution pitcher to start a Major League game. Thomas started July 24 against the Mets in New York, in place of Zack Grienke who was away from the Dodgers on the paternity list, to be with his wife as his first-born arrived. It was a perfect storm of publicity for the former Revolution reliever (’12), between it being a Friday night, in New York City and subbing for the most dominant pitcher in baseball at the moment. The fact Thomas is with a big market club certainly didn’t hurt either. In his usual calm and collected manner, the 28-year-old delivered in the spotlight. Over five innings, Thomas held the Mets to just three hits and one earned run, didn’t walk anyone and struck out five. The only run against him was an RBI groundout to second by Mets super-prospect Michael Conforto in the fifth, as last year’s 10th overall draft pick made his Major League debut against Thomas, up right from Double-A. The five Mets Thomas struck out: Curtis Granderson, Daniel Murphy, Wilmer Flores, Lucas Duda and Danny Muno. For video of those five punch outs and a couple of other highlights, CLICK HERE. That video is narrated by by Charlie Steiner and former Dodgers pitching great (and former Bowling Green Falcon!) Orel Hershiser via the L.A. TV feed. On the Mets broadcast, the Revolution were given a shoutout as one of Thomas’s former clubs by play-by-play man Gary Cohen, while Mets analyst Ron Darling gave the Revs coaching staff (manager Andy Etchebarren and then-pitching coach Mark Mason) credit for helping develop his change-up while he was in York in 2012. The former Mets hurler did his homework before this particular broadcast. In a 7-2 Dodgers triumph, which included a two-run Yasiel Puig homer and a three-hit, home run, two RBI night from former Met Justin Turner in support, Thomas earned his second Major League win, his first coming on April 27 of last year with the Braves in Atlanta against Cincinnati. Mark Mason has added some hard-throwing, right-handed depth to his bullpen with the addition of Luis Perdomo, who has pitched in 51 Major League games. Perdomo, 31, first signed with the Cleveland Indians in 2006, but made his MLB debut with the San Diego Padres in 2009, appearing in 35 games out of their bullpen. 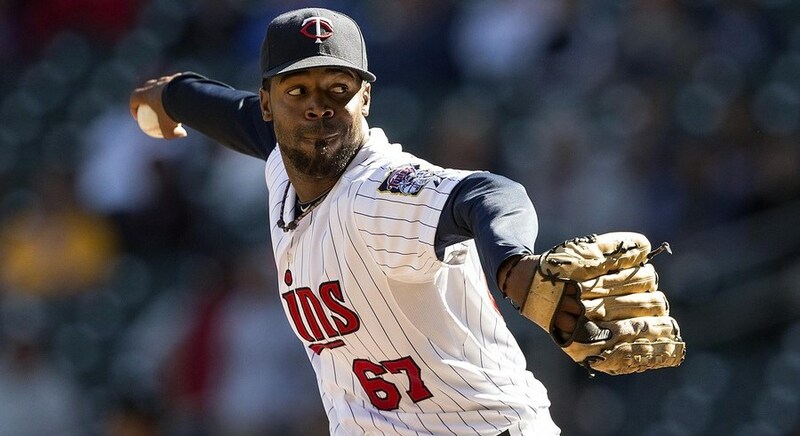 He also enjoyed big league call-ups in 2010 with San Diego (one game) and 15 games with the Minnesota Twins in 2012, his most recent Major League action. Perdomo has posted a respectable 4.50 ERA in the Majors, striking out 63 batters in 78 innings pitched. As a minor leaguer, he’s the owner of a 3.90 career ERA, with 65 saves. In 466 minor league innings, he’s accumulated 430 strikeouts. Last season the Dominican Republic native was with Campeche of the Mexican League and is in his 10th professional season. In the 5-1 win at Long Island on July 21, Mikey Reynolds gave the Revolution a 1-0 lead in the top of the first on a straight steal of home, with no other runners on base. Reynolds led off the inning with a single. While the Bobby Blevins pitch glanced off catcher Mike Blanke’s glove, probably mostly due to panic, it looks like there was a pretty good chance Reynolds would’ve beaten the pitch and scored anyway. Another game, another milestone for Andres Perez. This season he’s already become the Revolution all-time leader in doubles and total hits, and with a second inning solo homer July 20 in a 5-4 loss at Long Island, he added total bases to his resume as well. The home run gave Perez 606 total bases in a Revolution uniform in just over two and a half seasons with the club, surpassing the 605 accumulated by outfielder Scott Grimes in three seasons (2010-2012). It’s a significant record on it’s own, but especially so considering Grimes led all of professional baseball in runs scored in 2010 with 138. Perez’s homer also pulled him into a tie with James Shanks, whom he just passed for the all-time franchise hit lead, for fourth on the Revolution home run list (41). Perez’s next long ball will tie him with Jason Aspito (42) for third, with second place all-time also within reach (Grimes, 45). Chris Nowak is the career Revs home run leader (59). When Revolution right-handed reliever Ian Durham went inactive with pain in his pitching elbow on June 4, unfortunately it appeared to be a long-term injury. 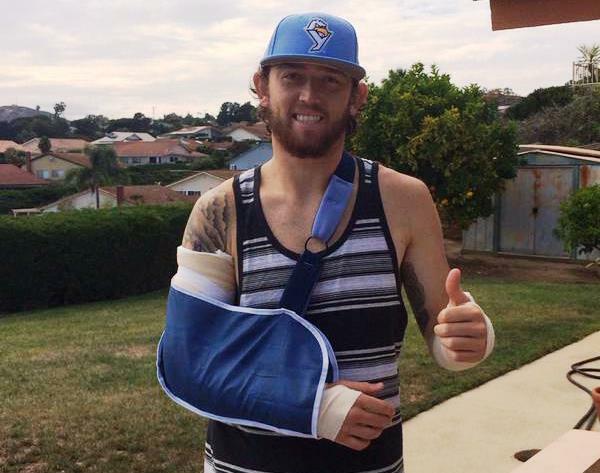 On July 20, he underwent successful Tommy John surgery in his native Southern California, and judging from the photo above, is in good spirits. While there are never any guarantees, the success rate of the surgery is generally high. A grueling rehab does lie ahead for Durham however, and that process typically takes a calendar year. While it’s certainly possible he could be back on a mound by the tail end of next season, most likely he’ll be back pitching by the start of the 2017 season. In any event, we hope to see Ian back on a mound either in York or elsewhere as soon as possible following his rehab. Durham, just 25, will be entering his sixth professional season once his comeback is complete. 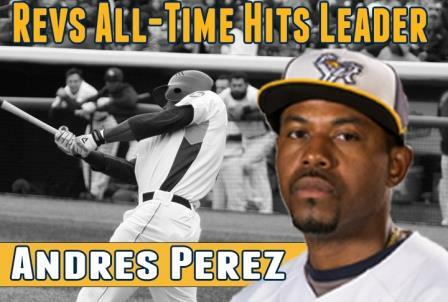 With a fifth inning single on July 19 in a 3-2 loss at Lancaster, York Revolution 1B/2B Andres Perez became the new franchise all-time hit leader in just two and a half seasons with York, surpassing the 383 hits collected by outfielder James Shanks in three-plus seasons with the club. 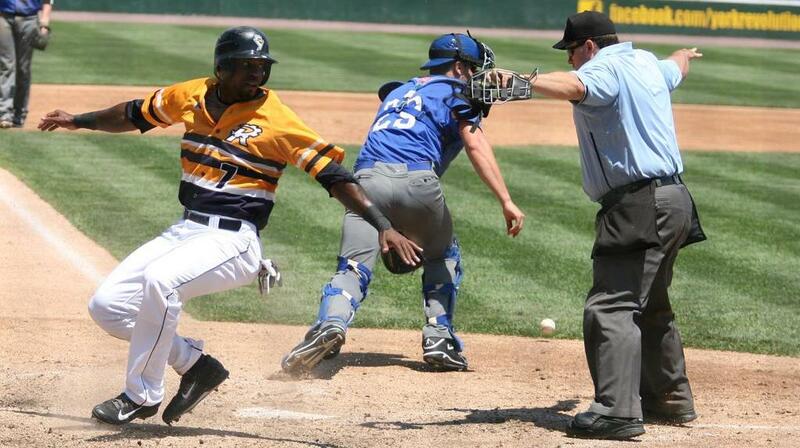 Perez batted .314 (161 hits, 23 HR, 86 RBI) in 132 games in 2012, and followed that with 151 hits in 2013. In 2014 he was away from York, playing the entire season with the Sioux City (Iowa) Explorers of the American Association. In his return, Perez has rapped 73 hits in his first 77 games this season to set the new record. For good measure he finished 2-for-4 on July 19, adding hit number 385 as well with another single in the seventh. Perez was already the Revolution’s all-time leader in a doubles (89, currently), a mark he set on June 7 in a 3-0 home win over Lancaster. Perez is also fifth on the all-time Revolution home run list (40).